Do what the vehicle ahead of you does. When approaching a railroad crossing, you must stop your vehicle no closer than 15 feet from the nearest rail if an installed electric or mechanical signal is giving warning of an approaching train. Be aware of other warning signs that may indicate an oncoming train, including seeing a lowered crossing gate or hearing an oncoming train. Drink a large energy drink. Open all the windows and turn on the air conditioning. Talk to a friend on the phone. When you are tired, you cannot drive as safely as you can when you are rested. Your reactions and decision-making skills are greatly reduced. Break long driving periods into two-hour segments. If you become drowsy, pull off the road and rest. HAWK signals are used at pedestrian crossings. If the signal changes to a solid black, drivers should proceed past the crosswalk with caution. A driver with a blood alcohol concentration (BAC) between ______ is presumed to be Driving While Ability is Impaired (DWAI) and is subject to legal repercussions. The amount of alcohol absorbed in your bloodstream is what causes you to feel the effects of drinking. This is called blood alcohol concentration (BAC). The driver with a BAC between 0.05 percent and 0.07 percent is presumed to be Driving While Ability is Impaired (DWAI). Quickly pass the bus before it re-enters traffic. Yield the right-of-way to the transit bus. Expect the bus to yield the right-of-way to you. 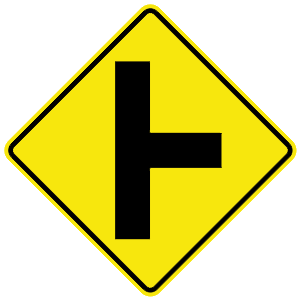 Either yield the right-of-way or don't yield the right-of-way. There is no specific rule. Drivers behind a transit bus are required to yield the right-of-way to the bus if it signals to enter a traffic lane. When encountering a transit bus trying to re-enter traffic, either change lanes or slow down to allow for safe merging.